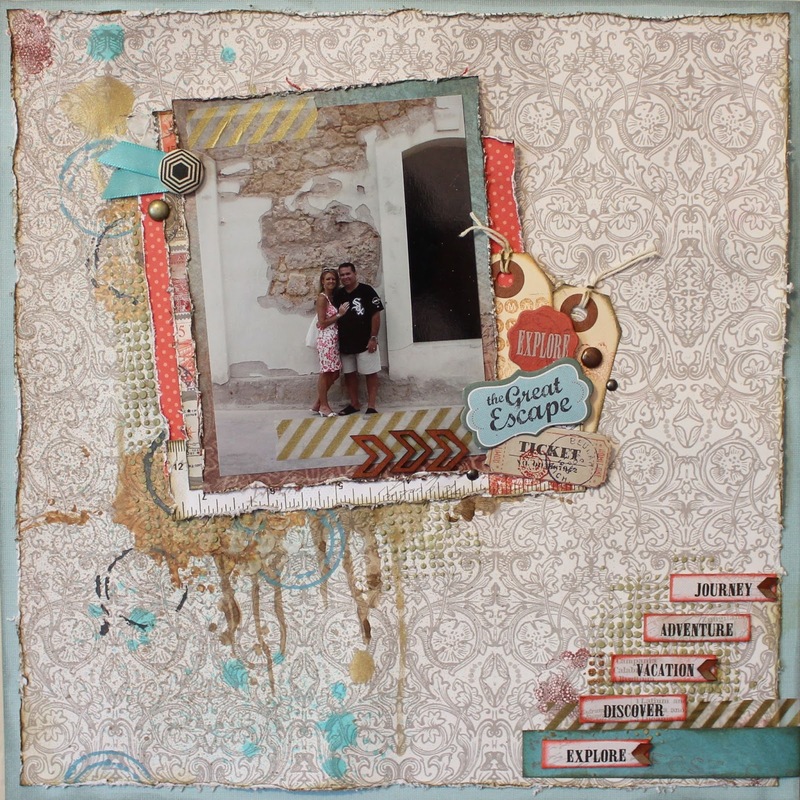 Blog Quick Quotes: Getting Inky with Barb! Hello everyone! Barb here to host the blog today! The new Baggage Claim Line has been a lot of fun to play with! But do you want to know what is even more fun to play with?! The INKS! The new colors are fabulous!! 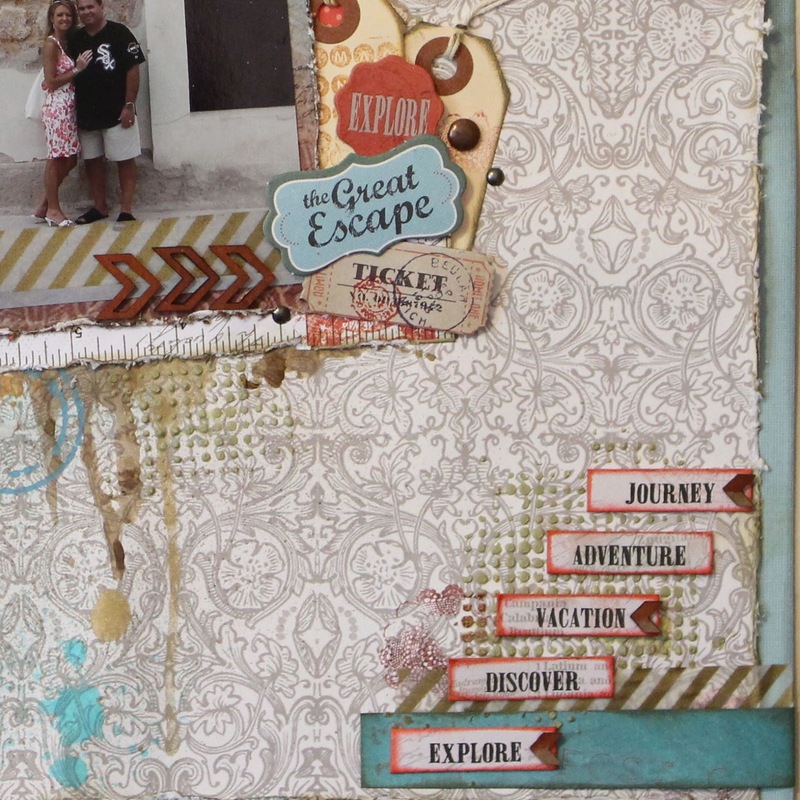 I got really inky on this layout! I used 8 colors of PowderPuff Chalking Inks on this layout! That is a lot of ink! I inked the edges of the patterned papers, I used the ink with stencils and I also used the ink to color the molding paste! Do you see the green dots that are peeking out from behind the photo? I made those by coloring molding paste with the Khaki PowderPuff Chalking Ink. And today, I thought I would show you how I did it! 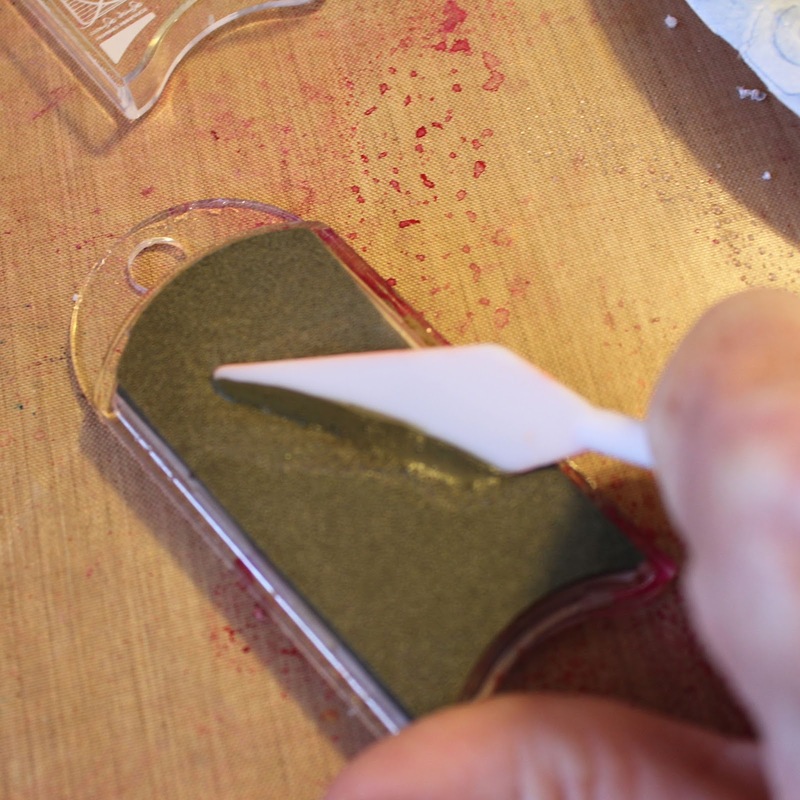 *Note, before preparing the molding paste, I already had all the ink and splatters on my layout. I added the molding paste on top. 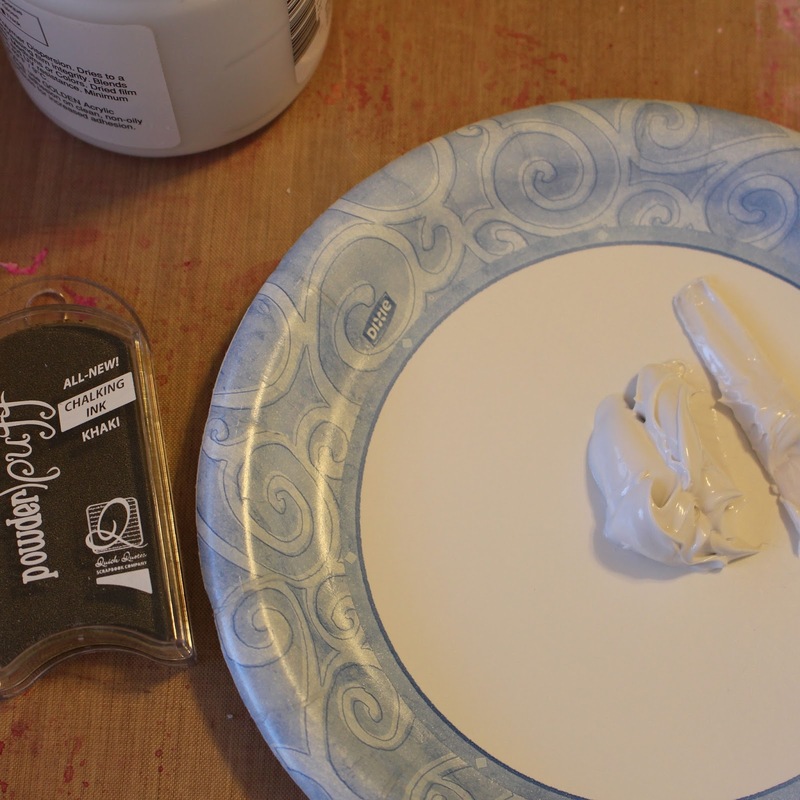 I started with a small amount of molding paste and selected my color. I sprayed the ink pad with a little bit of water to make just a bit juicier than it already is! 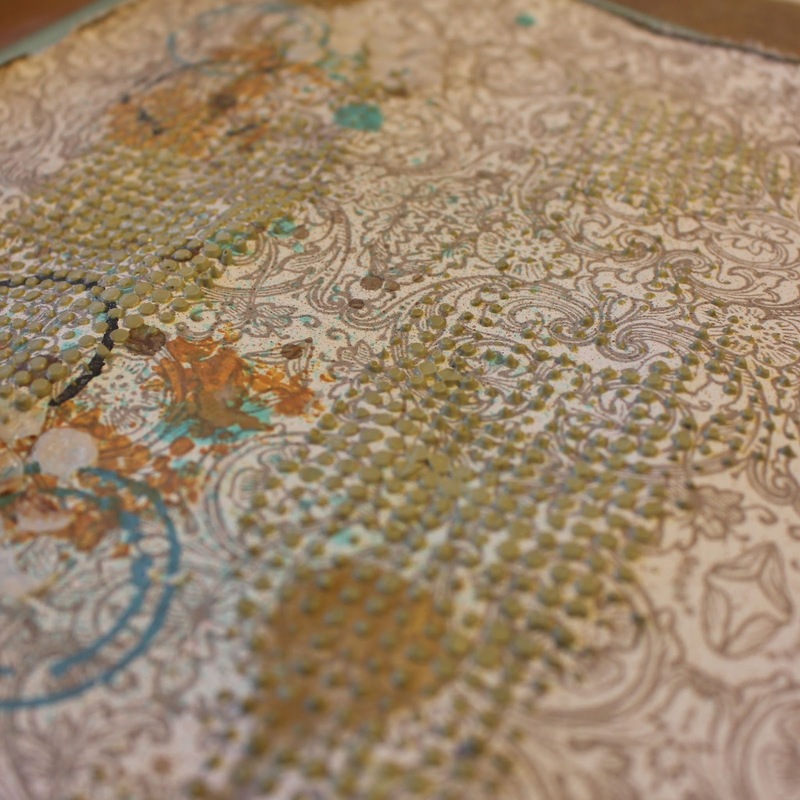 I then took one of my palette knives to "scrape" some of the ink off the top. 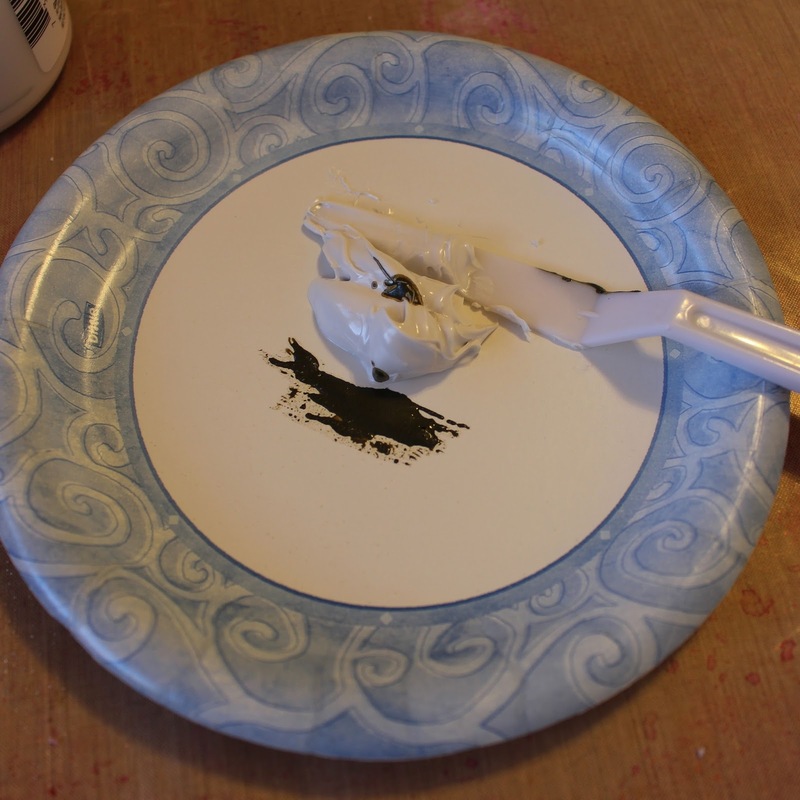 I then added the ink to the plate with the molding paste. And then I mixed it all up! The more color you add, the more intense the color. 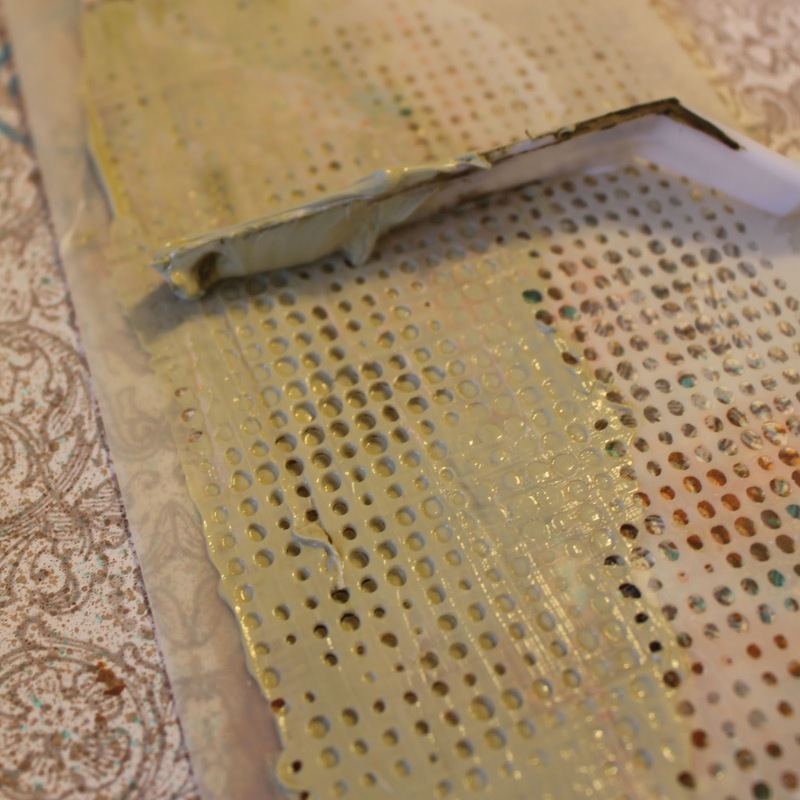 I placed the stencil on my layout where I wanted to apply the molding paste and I then spread it across the stencil. When I lifted the stencil, this is what it looked like. 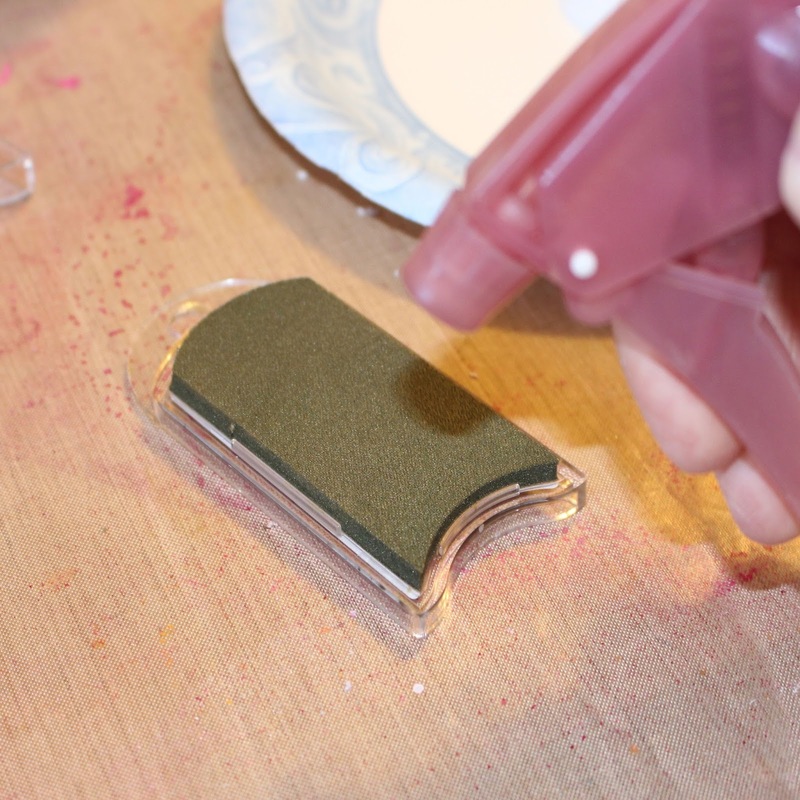 You can let it dry on it's own or you can use a heat tool to speed up the process. 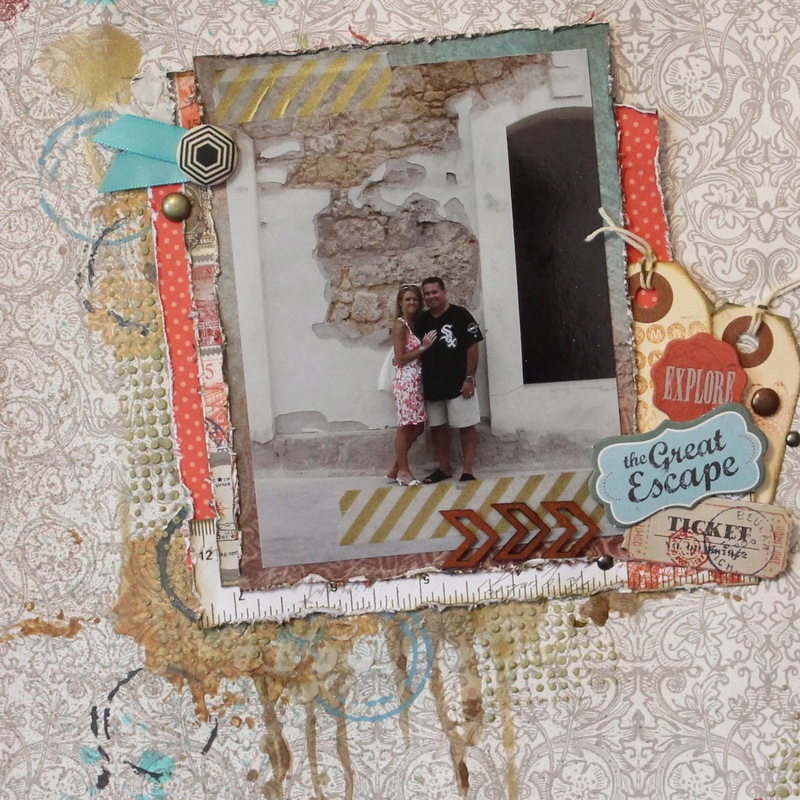 I finished off the layout by adding some of the Baggage Claim Chipboard Die-Cut Stickers! Love those! Awesome way to draw out the ink to use for the paste. With all the awesome colors Quick Quotes has this is a great technique and the possiblities are endless! Thanks for sharing! Great layout too! Great LO and tutorial, thanks! Love, love, love your style. Great tutorial! Super cool page Barb! 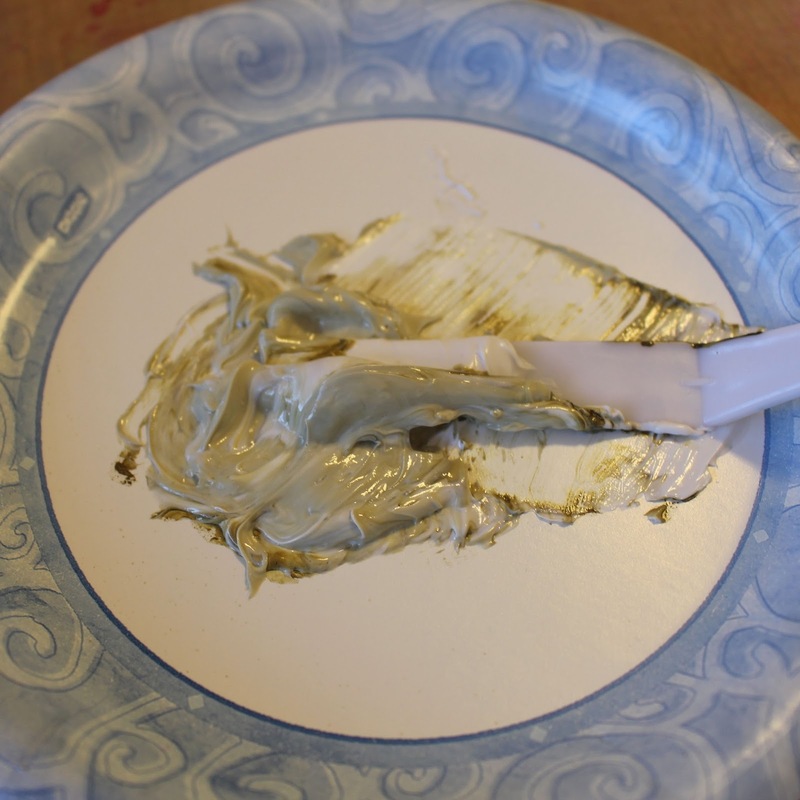 I love how you colored the molding paste! Thanks for the tips!